The Energy 202: Trump says he has an 'all-of-the-above' energy strategy, but coal gets top billing. Want to read more about Trump's energy and environmental policies? Get this newsletter. For the first time in 14 years, the president did not give a nod to any form of alternative energy in the State of the Union address. President Trump did not name check any energy source except coal, despite the Trump administration having officially adopted an “all-of-the-above” policy that include energy development beyond fossil fuel to help reduce U.S. dependence on foreign oil. In contrast, Presidents Barack Obama and George W. Bush unfailingly mentioned alternative energy, in one way or another, since 2004, according to a review of past State of the Union addresses archived by the University of California at Santa Barbara. Obama, for example, touted the growth of wind power “in fields from Iowa to Texas” and solar power “on rooftops from Arizona to New York” during his last address. In other speeches, he praised renewable energy research conducted by the Energy Department and, one year, invited a worker at a Michigan wind-turbine factory as one of his guests. Even Bush, a former Texas oilman, argued in 2007 that “it’s in our vital interest to diversify America's energy supply.” In his last four State of the Union addresses, Bush consistently name-checked alternative forms of energy that appeared promising at the time, such as “hydrogen-fueled cars” and biofuel from “switchgrass” in addition to wind and solar. The renewable sector took notice of the absence. "It is disappointing, but hardly a surprise that renewable energy was not mentioned in the State of the Union, despite the reality that wind and solar power are growing to the tune of nearly $50 billion annually," said Greg Wetstone, who runs the American Council On Renewable Energy. "Clearly any 'all-of-the-above' energy strategy should embrace renewable power." Trump did not mention oil by name, either, which just hit a 47-year high in production domestically. He did, though, praise ExxonMobil for recently announcing a $50 billion investment in the United States. "I expect and am quite confident energy will be part of the speech because it underlies all of the issues that he's going to talk about it," Jack Gerard, president and chief executive of the American Petroleum Institute, said ahead of the speech. Indeed, Trump tied the Exxon investment to the recent tax cuts. As The Washington Post’s Steven Mufson noted, there was no war on U.S. energy: Obama, like Trump, pursued an “all-of-the-above” strategy. Shale oil and shale gas production boomed during his presidency. Obama made sure to note that growth in the fossil-fuel sector to Congress. “America is No. 1 in oil and gas,” he said in 2015, to the consternation of environmentalists. In all policy areas, Trump crafted his speech to rev up his base, often turning away from the Democratic side of the aisle to deliver lines to Republicans. Trump’s voters includes current and former Appalachian coal miners who helped him win Pennsylvania and Ohio. No similar regional coalition exists for the wind or solar sectors. The all-of-the above strategy the administration claims to be pursuing is not really happening in practice: the Energy Department administration endorsed price changes that would prevent cheap solar and wind energy from providing energy at negative prices, which they can do through federal tax credits. His administration is also poised to ask Congress for a 72 percent cut to the Energy Department's renewable energy and energy-efficiency programs, according to draft budget documents obtained by The Post. Neither of those proposals have come to pass. But Trump did land one blow: This month, the president levied a tax on cheap solar panels made abroad that are driving much of the growth of rooftop and utility-scale solar in the United States. Train wreck: One person was killed and six people were injured on Wednesday when an Amtrak train carrying Republican lawmakers collided with a truck. The lawmakers, their spouses and some staff were heading to an annual party retreat in West Virginia. None of the lawmakers, their families or aides on the train were among those seriously injured. Rep. Jason Lewis (R-Minn.) was taken to the hospital and treated for a concussion before he was released. The man who died was identified as 28-year-old Christopher Foley by Albemarle County Police who said he was a truck passenger, per The Post’s Martine Powers, Faiz Siddiqui and Hawes Spencer. He was one of the three men in the disposal truck involved in the crash. President Trump was fully briefed on the situation and is planning to address the lawmakers at their retreat on Thursday. — King Cove road rage: On Wednesday, environmental groups sued the Trump administration over its plan to build a road through the Izembek National Wildlife Refuge in Alaska. Nine green groups argued the 500-acre land swap between the federal and state governments, which would facilitate the construction of the road, violates the 1980 law that designated most of the refuge as a federally recognized wilderness in which roads cannot be built. Interior Secretary Ryan Zinke signed the land-swap deal last month. The Izembek Lagoon is an important wintering habitat for migratory birds from around the world, prompting green groups to fight construction there. But for three decades, Alaskan politicians have argued that environmentalists have put the needs of birds ahead of those of people. The road is necessary, they say, to provide residents of the isolated community of King Cove a route in poor weather to the closest regional airport that is essential during medical emergencies. — “Here to help:” A top Energy Department adviser reassured the coal industry in West Virginia that he would help the sector, reports S&P Global Market Intelligence. "The good news is I'm with the federal government and I'm here to help," Doug Matheney, who works in the department’s Office of Fossil Energy said Wednesday at the West Virginia Mining Symposium in Charleston, W.Va. "I went to Washington, D.C., for one purpose and that was to help create coal jobs in the United States. That's my total purpose for being there. I'm not a researcher, I'm not a scientist, I'm an advocate for the coal industry." Environmental groups were not pleased. The Sierra Club said in a statement: "We never expected the Trump Administration to come right out and admit that they are simply serving the coal industry, but they did today." — Land rush looming: As of Friday morning, much of Utah’s wilderness will be open to private citizens and companies to claim lands under the General Mining Law of 1872, per Reuters. The law covers uranium, gold, silver, copper and other precious metal mining but excludes coal and petroleum. — Ohio vs. Alaska: Nearly a dozen Republican lawmakers from Ohio are urging President Trump to keep his pledge to reverse the name change by the Obama administration of the Alaskan Mount McKinley, after the former president, to Denali (they want it to go back to McKinley). "Mr. President, we appreciate your comments opposing the Obama administration's actions and stand ready to work with you to preserve William McKinley's legacy by restoring President William McKinley's name to the Alaska mountain,” the lawmakers wrote in a letter, per The Hill. But both Republican senators from Alaska, Lisa Murkowski and Dan Sullivan, want to keep the name Denali. — WOTUS, suspended: Environmental Protection Agency chief Scott Pruitt officially suspended an Obama-era clean water regulation on Wednesday, with the intention of creating a new version later this year, the New York Times reports. “Mr. 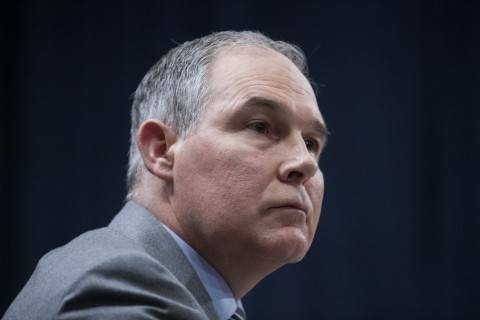 Pruitt took a major step toward completing that task, filing the legal documents required to suspend the Obama rule for two years. The rule was set to be implemented in the coming weeks, following a Supreme Court decision last week that gave jurisdiction of the matter to district courts,” writes the Times. The Waters of the United States rule expands existing federal protections under the Clean Water Act to smaller bodies of water. — FEMA won’t cut relief to Puerto Rico: The Federal Emergency Management Agency said Wednesday it would not yet end relief distribution to Puerto Rico that was reportedly scheduled to stop at the end of the month. NPR’s Adrian Florido reported the change followed angry reactions from lawmakers. The New York Times reported FEMA said it never intended to stop helping the U.S. territory. "The uproar began when agency officials mistakenly told NPR in an interview published on Monday that FEMA planned to cut off food and water assistance on Jan. 31," wrote the Times. "According to [William Booher, an agency spokesman], Wednesday was not an actual cutoff point, but rather an internal planning date to evaluate if Puerto Rico could still justify needing assistance." The move comes as the EPA prepares to complete 700 pesticide registrations over the next four years. — Talk to NASA, Mr. President: The American Meteorological Society sent a letter to Trump fact-checking his climate-change claims during his recent interview with Piers Morgan. "There's a wealth of comprehensive and accurate information on climate change available to you and your staff within government agencies," the AMS told the man in charge of those agencies. Bill Nye was a Trump nominee's guest at the State of the Union. Scientists were not amused. 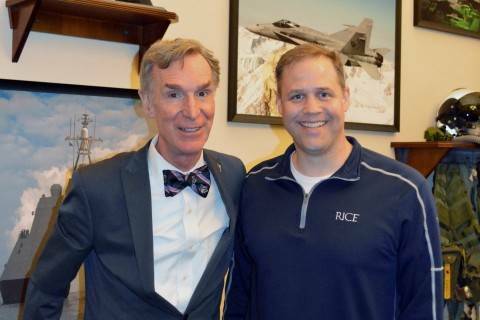 Nye said attending the speech was not an endorsement of the policies of the Trump administration or Rep. Jim Bridenstine (R-Okla.), the president's pick to run NASA. — A record for crude oil: Oil production in the United States surpassed the 10 million barrel a day mark in November for the first time in nearly 50 years, according to new monthly data from the Energy Department. The country has not produced 10 million barrels a day since November 1970, per CNBC. — Not so fast: A top BP official predicted Wednesday gas would surpass oil as the world’s main energy source around 2040. “We see it (gas) take over from coal in the early 2030s... We think there is a very good case for gas actually overtaking oil post 2040 or just before 2040,” the oil giant’s vice president for strategic planning Dominic Emery told a conference in Vienna, reports Reuters. — Total find: French oil giant Total said it had made a deepwater discovery in the U.S. Gulf of Mexico, per Reuters, noting it was the largest discovery in the area. — LNG export terminal open: The first natural gas export terminal on the East Coast opened on Wednesday. Dominion Energy has begun producing liquefied natural gas the terminal in Lusby, Md., joining Cheniere Energy’s Sabine Pass terminal in Louisiana that opened in February 2016 and thrusting the United States forward further into the LNG export business. 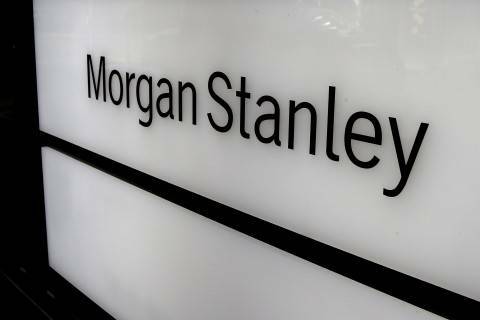 Two former Morgan Stanley brokers pleaded guilty to using more than $500,000 in client money to make unauthorized investments in a wind farm and pay personal expenses including college tuition and credit card bills, federal prosecutors said. FERC Commissioner Neil Chatterjee is scheduled to speak at the 31st annual Power and Gas M&A Symposium. Columbia University’s Energy Symposium begins. Bloomberg New Energy Finance holds its Future of Mobility Summit in Palo Alto, Calif. on Thursday and Friday. George Mason University’s holds its 14th annual Symposium of the Journal of Law, Economics and Policy on Friday. — A lunar hat trick: The National Weather Service in Little Rock, Ark. shared this stunning photo of Wednesday's Super Blue Blood Moon. Capital Weather Gang's Angela Fritz shared more images here.